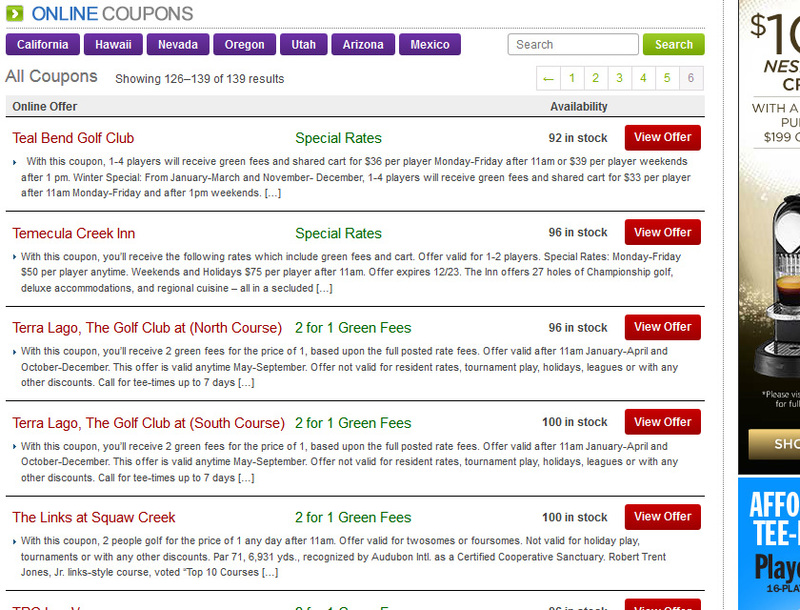 Designed and developed by Somethumb, 2for1Golf.com is a highly customized, integrated E-commerce application designed to make purchasing quick and simple for busy golf enthusiasts. The organized layout facilitates the viewing of numerous product offerings and multiple variations of product display pages. 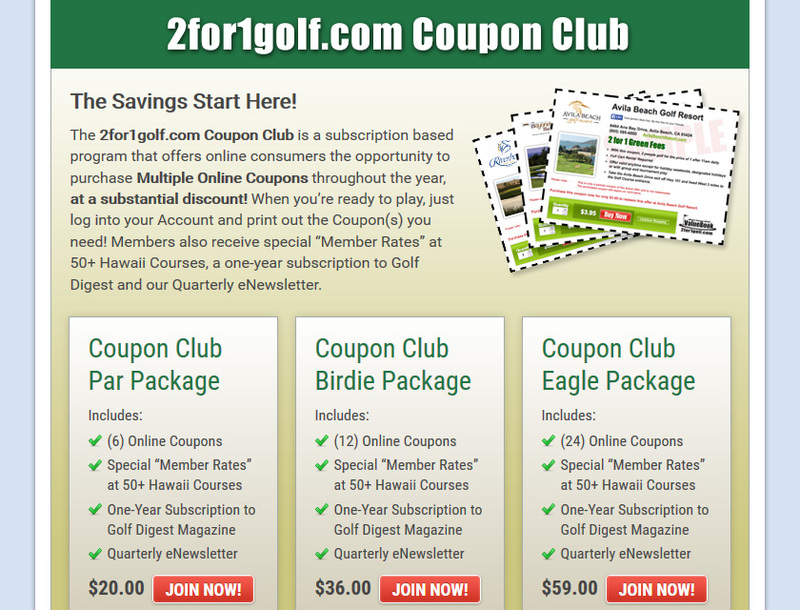 Customers are easily able to buy discount Online Coupons, join the Coupon Club, purchase a ValueBook, and more. 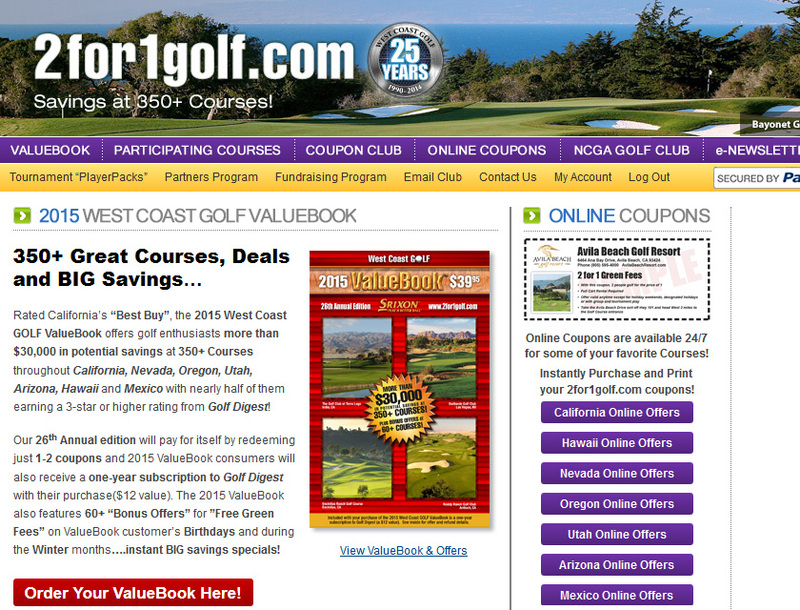 Somethumb also produces banner ads, email campaigns and designs the ValueBook for this client. Post-launch results included doubled online sales within the first twelve months and compounding annual profit growth.